These are all products I have in my own home or yard, and I love them enough to share. If you’re short on gift ideas this holiday season, here’s the ultimate holiday shopping guide for the urban hippie in your life. Whether you’re cooking a nice meal or just throughout the day, plenty of kitchen compost scraps can accumulate. Onion peels, carrot tops, loose leaf tea after a enjoying hot cup, and coffee grounds are just a few examples of organic food waste that make great compost. 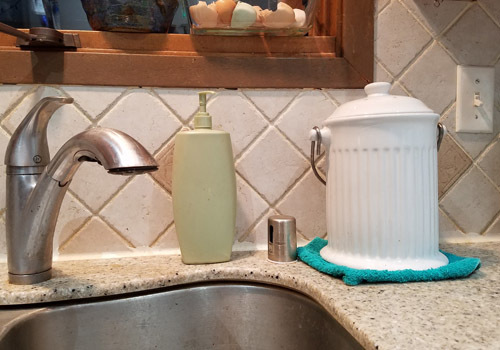 Instead of making a special trip with each individual piece of compost, you can collect it all in your kitchen with this beautiful, washable ceramic compost keeper. I keep one in my kitchen, right next to the sink. Even when you’re trying to make healthy decisions and buy fresh vegetables, the grocery store or street market oftentimes only provides thin plastic bags for your produce. These organic cotton bags are an awesome sidekick for your reusable shopping grocery bags. When you need a few cucumbers or loose avocados, reach for this sturdy, washable and sustainable alternative. They also work great for buying bulk (= package free) rice, dried beans and pastas. 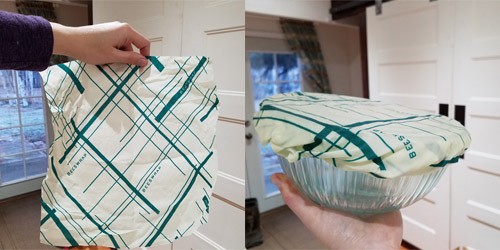 Bee’s Wrap is a good alternative to using plastic wrap for food storage on things like produce, hard cheeses, and bread. The folks at Bee’s Wrap start with a thin, organic cotton cloth, then lightly coat it in all-natural bee’s wax. This thin wax coating still allows the cloth flexibility, but it also gently seals itself with a little bit of pressure and the heat from your hands. It sticks well either to itself (wrapping it in a ball entirely around the food) or on glass as a lid. If you love drinking through a straw but hate all of the plastic waste your extra sipping accessory creates, consider investing in stainless steel reusable drinking straws. This set comes with a nifty carrying pouch and cute silicone sips (so you don’t burn your lips while drinking hot coffee). It’s hard finding deodorant that’s free of aluminum and heavy metals. 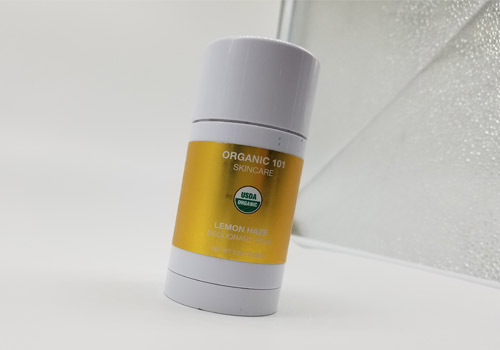 USDA-certified organic, this deodorant stick by Organic 101 Skincare is great. It comes in a twist-up tube and is made in a few natural scents, mostly citrus. My favorite is the Lemon Haze. It smells just like lemons – zesty and clean. When you buy a quality pressure canner, it’s an investment for years to come – perhaps even multi-generations. One of the most reputable brands in aluminum pressure canning is All American. They make several models, and the size is directly related to the price. But – the larger canner you own, the more jars you can process at once. A friend (hey Jess!) introduced me to this face lotion about a year ago, and I’m hooked. Compared to many women, my collection of skin or face products is quite limited. 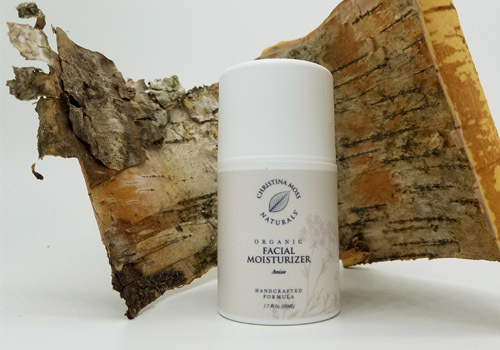 But with Alaska’s dry winter air, this organic facial moisturizer is incredible. It’s cruelty-free (no animal testing), made with certified organic ingredients, and there are no parabens, sulfates, synthetic colors or perfumes. One of the natural ingredients is star anise seed oil, so it smells lightly of black licorice. There’s also a version without the star anise seed oil, if that scent isn’t your thing. I haven’t personally read this book, but it comes highly recommended by a fellow urban hippie friend (hi Allyson!). Some canning recipes have huge yields, and can be intimidating for someone just starting out learning to cook/can. Marisa offers recipes that are reasonably sized for smaller kitchens and trial batches. If you’re working with a pound – not a bushel – this book is a nice reference and offers “Season canning in small bites”. In order to start canning food, you’ll need a canner and jars/lids. Most people also use a set of canning-specific tools to help with the process. These tools include a magnet on a plastic stick (so you can easily get jar lids out of pot of hot water without burning yourself), a wide-mouth funnel (to avoid spilling food on the lip or side of the jars), and more. This utensil starter set is the most basic kit of canning related tools, perfect for anyone who is ready to start learning about food preservation at home. 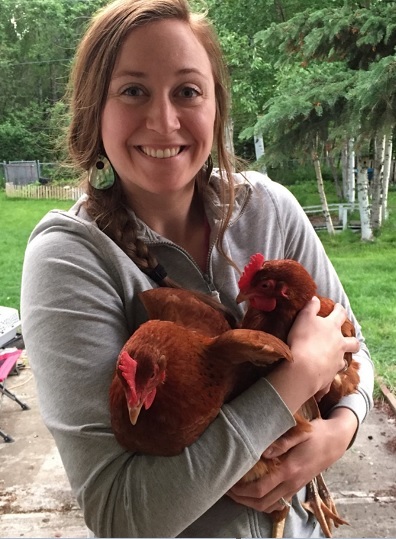 If you’re looking for a gift that the average chicken keeper probably doesn’t already own, this 12-pocket chicken egg collection apron is a funny, thoughtful gift for the ‘crazy chicken lady’ in your life!